I have experienced irregular cycles since the beginning of my cycles as a teen. I became a teen mom. Then two years after my first son, I experienced my first miscarriage and at the time didn’t understand. Then I had my second son and started birth control thinking this will help me with have regular cycles… The doctors told me that birth control would regulate my cycles. So I listened and got on it not knowing that it would actually do more damage than good and really it’s just a bandaid. I then experienced my first abortion 😢, so young and not knowing any better which also caused more damage for me down the road, emotionally and physically. Now not only did I have irregular cycles again, I also was experiencing brown bleeding and more pain. I finally went to a napro technology doctor for my cycle and started charting to find the root of my problem… and boiled down to being diagnosed with PMS (a real thing). Lol. I also have extreme low progesterone which is like the glue for pregnancy to keep the baby attached to the uterus. So, this finally explained possibly my miscarriage. As a adult I couldn’t stand the irrational hormonal swings, the ups and downs… I was already experiencing it to the max with the loss of my son. So for 3 years I was subscribed to Hethir’s site and always getting emails, but discarded them. 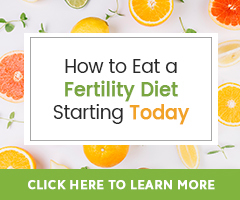 I knew I wanted to try out her product to fix my cycles possibly, but couldn’t because I was nursing my fourth son… So first things first, I knew I wanted to do the Fertility Cleanse because I knew I needed to pamper my poor uterus with loss through miscarriage, abortion, and 4 pregnancies. I knew brown blood was the indicator and I knew I had scar tissue. So it was a no-brainer for me to want to cleanse myself. I also didn’t have the best diet. I ate foods that had a lot of soy in them and processed foods. I knew my liver probably did have excess hormones like estrogen which wouldn’t help me to have a normal cycle. So with diet change and the Fertility Cleanse, I felt like I was getting back on track. I was so ready that I ordered the 21 Day Fertility Diet Challenge eBook, hormonal balance kit, Fertility Cleanse, Vitex, and Castor Oil Pack. The first week of the cleanse was starting great and using the castor oil packs for the last two nights before I got my period back! 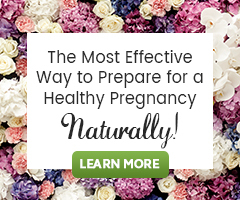 8 days into the Fertility Cleanse, I started my period from a long 79-day cycle. I was so excited! So I stopped the cleanse until I was done with my period, then started back up on the cleanse where I left off. Then, I finished the cleanse. Fertility cleanse & Castor Oil Packs together. Incorporating green smoothies in my day to day diet plan and the Fertility Cleanse for the recommended length. Pregnancy ! Emotionally wasn’t crazy… had more energy… definitely felt good caring my for body… and focusing on me. Hope… there’s hope! Take one day at a time. Learning from my son’s passing and my fertility journey… one day at a time. Enjoy every day as if it were your last. Definitely was so helpful having a response whenever I would order the product. I always got a real person to email me thanking me for the purchase and offering to help me if I had any questions which I did. So was nice having that support. It made me not feel like just another purchase for them – like my purchase mattered. And now that I’m pregnant they are continuing to help me with resources and also taking care of me with my pregnancy journey. Now I’m taking Baby and Me Prenatal and Cod Liver Oil pills 😊 and I am going to read more into what resources I have now for pregnancy, to maintain a healthy pregnancy.